Customers can implement a unified data protection strategy for workloads running on Red Hat Virtualization 4 for a cloud centric environment with greater virtual server data protection and file level restorability from Commvault’s next generation software. Red Hat Virtualization 4, the newest release from Red Hat, the world’s leading provider of open source solutions, helps address the increasing costs and complexities of proprietary virtualization solutions by providing a fully-open, high-performance, more secure and centralized management platform for both Linux- and Windows-based workloads. Built on Red Hat Enterprise Linux, Red Hat Virtualization 4 is designed to more easily integrate with existing IT investments while providing a foundation for emerging technology deployments, including containerized and cloud-native applications. With existing support for Red Hat Virtualization 3.6, Commvault’s expanded integration and support for Red Hat Virtualization 4 gives customers increased flexibility to manage data and workloads across the range of traditional, virtual, and cloud infrastructures. Through Commvault’s Data Platform, customers — using a single solution — can now better protect data and workloads across one the industry’s broadest range of hypervisor coverage, which includes Red Hat Virtualization, VMware, Microsoft Hyper-V, Citrix Xen, and Nutanix Acropolis Hypervisor (AHV). In addition, these workloads can be better protected as they move from hypervisors to the public cloud providers such as Microsoft Azure and Amazon AWS. A sponsor at Commvault’s inaugural customer conference, Commvault GO 2016, to be held October 3-5 in Orlando, FL, Red Hat will be highlighting the benefits of Red Hat Virtualization and its recent OpenStack developments at the show. 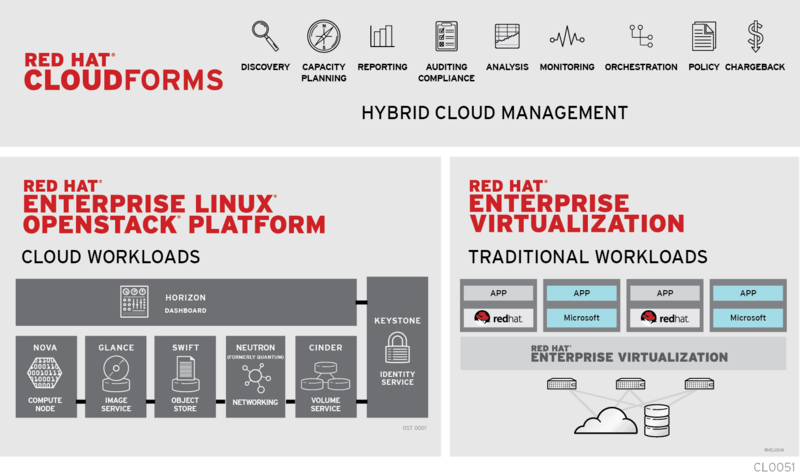 Red Hat Virtualization 4 is available as a standalone offering, as an integrated offering with Red Hat Enterprise Linux, and as part of the Red Hat Cloud Suite comprehensive solution. Existing subscribers can upgrade to version Red Hat Virtualization 4 through the Red Hat Customer Portal. Commvault support for Red Hat Virtualization 3.6 is already available. Support for version 4 is planned for Q2 FY 17.